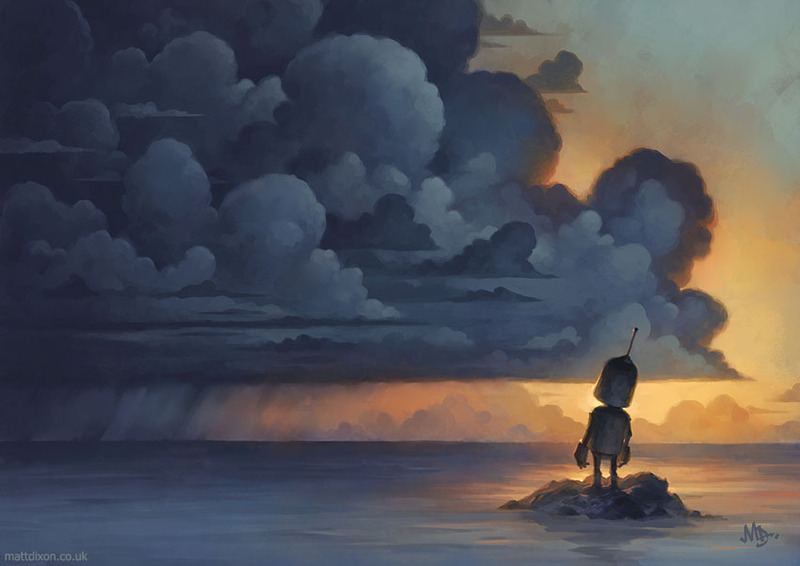 Why is the robot standing there, looking at the clouds? What is the ‘expectation’ in this image? How will the robot react when it happens? Do you have any expectations in your own life (either of yourself or of others)?